Because some of you know about this place, I thought I should address it. 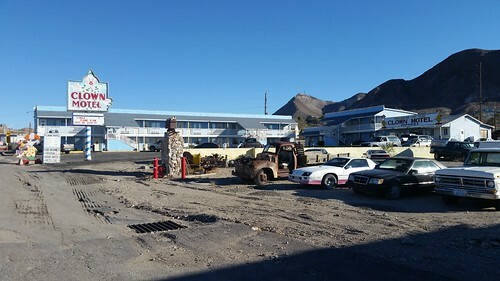 The Clown Motel is on the north end of Tonopah (we're at the other end of town). The prices are low, but I think we'll give it a pass.